Update: On April 3, McDonald’s spokesperson Ashlee Yingling sent us this statement: “We read this story as a fun April Fools Day joke. Many readers got a laugh out of it, as did we. 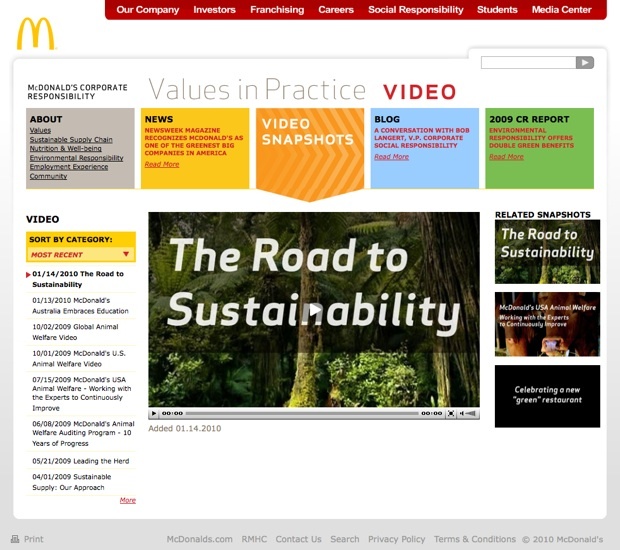 As much as we appreciate humor, McDonald’s is serious about Corporate Responsibility. We have a long track record of industry leadership in community involvement, environmental protection, animal welfare, diversity and opportunity, and we work with our suppliers to help improve their practices. Out of the over-abundance of April Fool’s stories posted yesterday, Grist’s gag tore through the social media-sphere like a kid eating a drive-thru Happy Meal. But why were so many people fooled? Part of it has to do with a story posted on Grist a few weeks earlier, about this Happy Meal that Joann Bruso had purchased and placed on a shelf for one year. 365 days later, Bruso noted, there was no mold, no odor, none of the decomposition one normally associates with food sitting on a shelf for one year. (McDonald’s has disputed Bruso’s claim as an urban legend, something Bruso cheerily refutes). Grist writer Tyler Falk, who wrote the April Fools story, was partially inspired by Bruso’s popular experiment. “It gave the notion that McDonald’s food doesn’t decompose that thin veil of plausibility that any successful April Fools’ Day joke needs,” says Mary Bruno, Grist’s executive editor. Among those fooled was GOOD and The New York Times writer Allison Arieff, who Tweeted the story dutifully. “I think I got so fooled because it seems entirely possible that the food they serve would mess with compost,” she says. “I mean is there any remotely organic material left in their food?” A few minutes later, Arieff was alerted via Twitter reply that it was a joke–by @McDonald’s itself!